Happy Thursday, all! Thank you so much for all your sweet comments yesterday about Charlie. I really appreciate it. Luckily yesterday was a better day for him. Hopefully we have more of those! 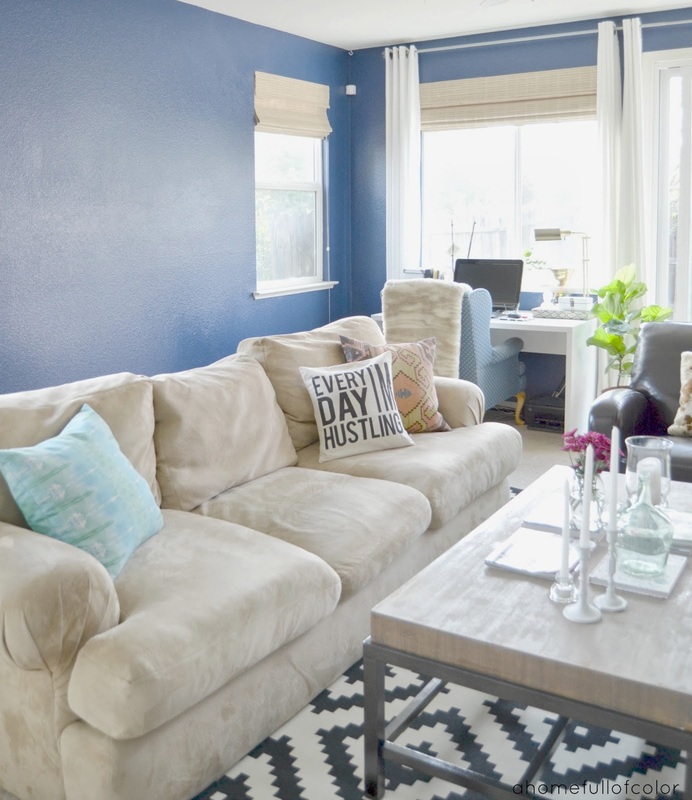 My name is Shavonda and I occupy a little chunk of space in blogland over at A Home Full Of Color. I’m so excited to be here today. I seriously adore Cassie so I was more than happy to accept her invitation to hang out here at Primitive and Proper for the day. 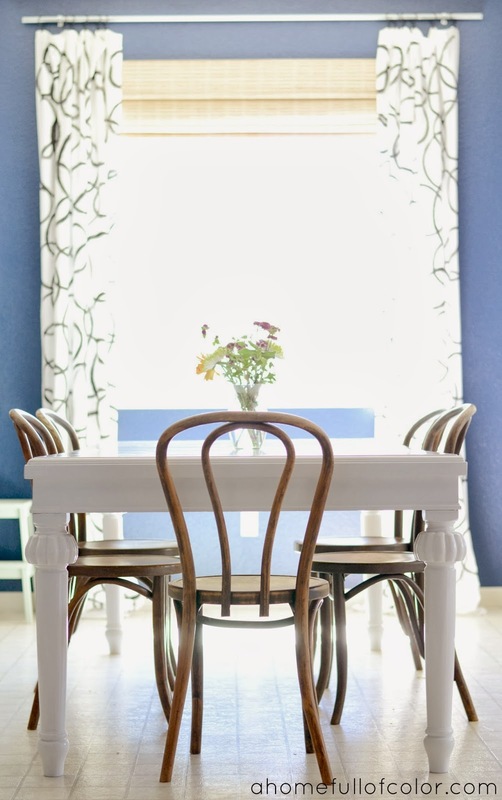 Cassie’s furniture makeovers are insanely good, aren’t they? I want to be like her when I grow up. 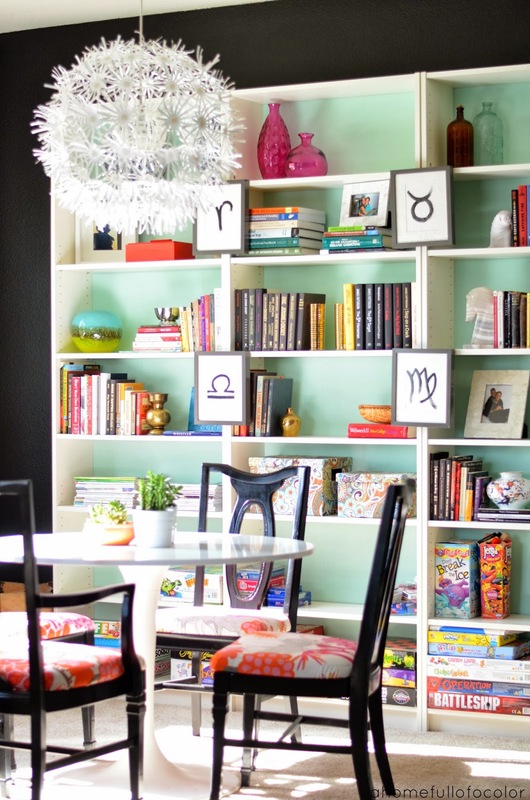 A Home Full of Color is where I document the crazy diy and decorating shenanigans around my home. My family and I live in a super builder basic house which, don’t get me wrong, I love, however, it was just a little too like everyone else’s. There was only one way to remedy that: through personalization, of course. My weapon of choice is color! I love it and I’m not afraid to use it in full force. How bout black walls and a coral ceiling? Sure, why not! My design style is eclectic and my wife’s is modern which can make for some slooowwww decorating decisions, but we always figure it out. We’ve done quite a bit to make it “us” so far and we are enjoying it everyday. 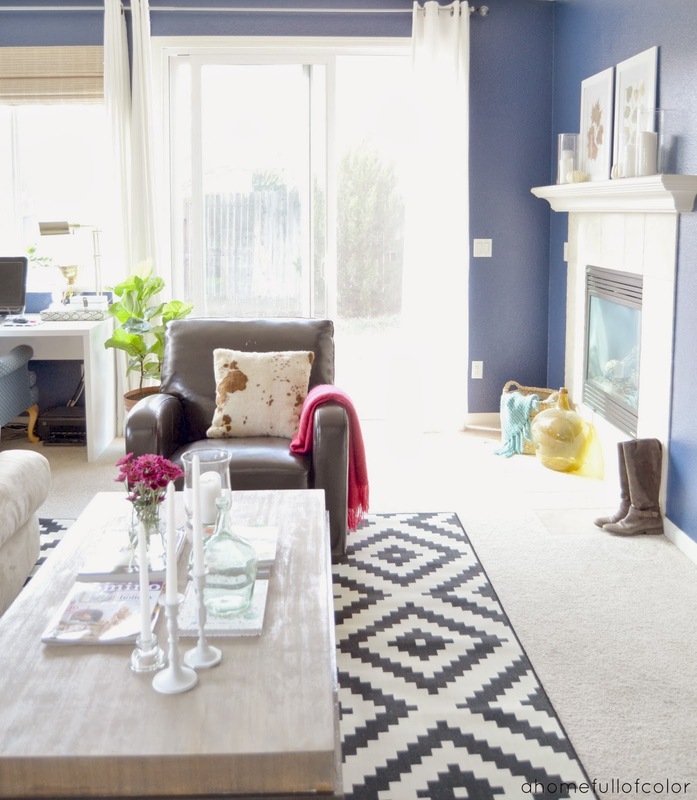 I hope you enjoy taking a peek into our colorful home. Our home is constantly changing as I suffer from a little ailment I like to call rearrangitis. As a matter of fact as I write these words there’s a fun project going on in the kitchen! We still have several more rooms to complete so who knows what’s in store. Thank you so much Cassie for having me today and thank you all for entertaining me. Have an awesome day! What a happy house! Love it! Everyone needs a dose of Shavonda 😉 When I found her on Pinterest I was immediately in love with her, her blog and her home. I suffer from rearrangitis, too! I love that! Beautiful spaces. Definitely not builder basic anymore! 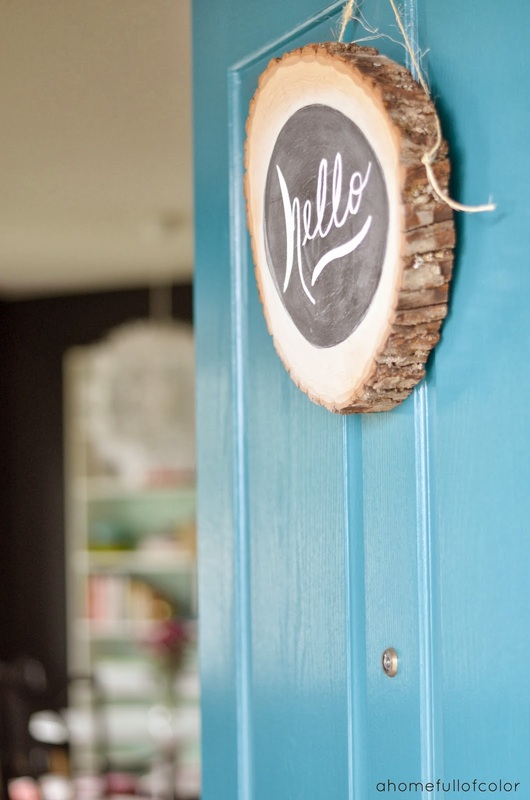 The fun starts at the front door with that pop of blue and cute welcome sign. What a bright and happy home! What a fun home! 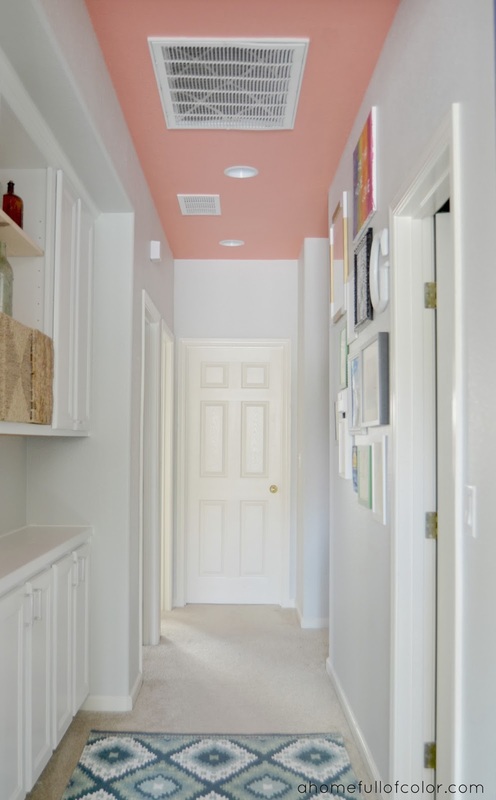 Love the coral ceiling and her big announcement…dream come true! What a beautiful home. 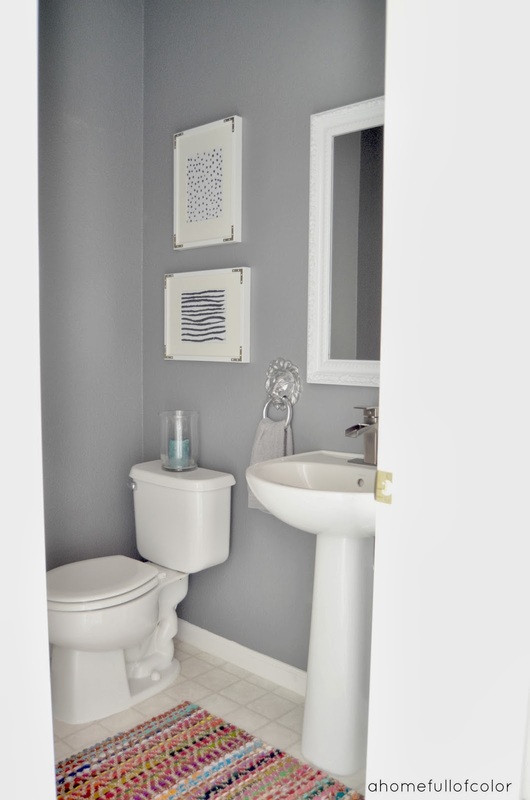 Love the color scheme. i love her home! This one is new to me so I can’t wait to pop over and check out her blog. so glad to hear about charlie, hoping for more good days for you guys. Right up my alley! I love all the colors she uses and the crisp modern feel! Such a beautiful home! I love when I am introduced to new spaces that inspire me. Thank you! Such beautiful spaces…and bentwoods!! I love it. What a gorgeous house! Love the colors and that kitchen! Beautiful! Love how all the colors go together so well. okay, this series of yours is really wreaking havoc on my bloglovin’! Too many great new (to me) blogs, too little time! I am in love, especially the sign on the front door!! Love the color on the front door too, you just know the rest of the house is going to be fun. LOVE this tour!! She has a gift for mixing colors, it’s fun and sophisticated all at the same time! Love Shavonda’s home and all of the color!! Makes me smile! I love Shavonda and her house!!! 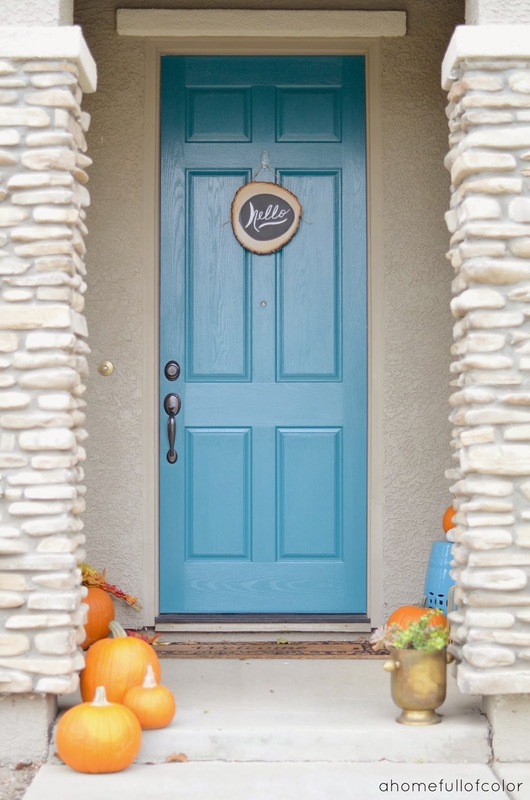 That little wood slice hanging on her new blue front door is so cheery and welcoming!